Channel 4 and HBO will air a new documentary based on Michael Jackson. The award-winning director Dan Reed’s ‘LEAVING NEVERLAND’ is a two-part documentary about two men who recount their experiences of being sexually abused by Michael Jackson. When allegations of abuse by Jackson involving young boys surfaced in 1993, many found it hard to believe that he could be guilty of such unspeakable acts. 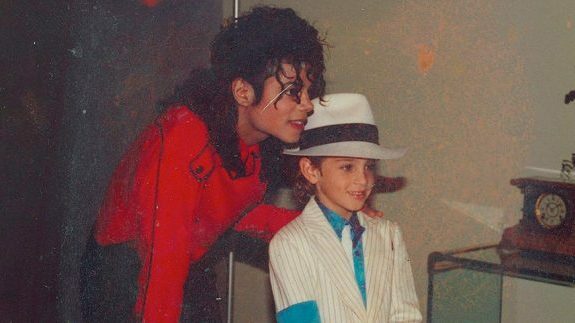 LEAVING NEVERLAND explores the experiences of two young boys, James Safechuck, at age ten, and Wade Robson, at age seven, who were both befriended by Jackson. They and their families were entranced by the singer’s fairy-tale existence as his career reached its peak. Director Dan Reed states: “If there’s anything we’ve learned during this time in our history, it’s that sexual abuse is complicated, and survivors’ voices need to be listened to. “It took great courage for these two men to tell their stories and I have no question about their validity. Through gut-wrenching interviews with Safechuck and Robson, now in their 30s, as well as their mothers, wives and siblings, LEAVING NEVERLAND crafts a portrait of sustained abuse, and explores the complicated feelings that led both men to confront their experiences after each had a young son of their own. “Dan Reed has succeeded in making an extraordinarily compelling, yet moving film about two men whose lives were changed forever by one of the most famous men who ever lived,” said Tom Porter, Channel 4 Commissioning Editor.